There is so many amazing vintage kitchen images with these steel cabinets to pour over. 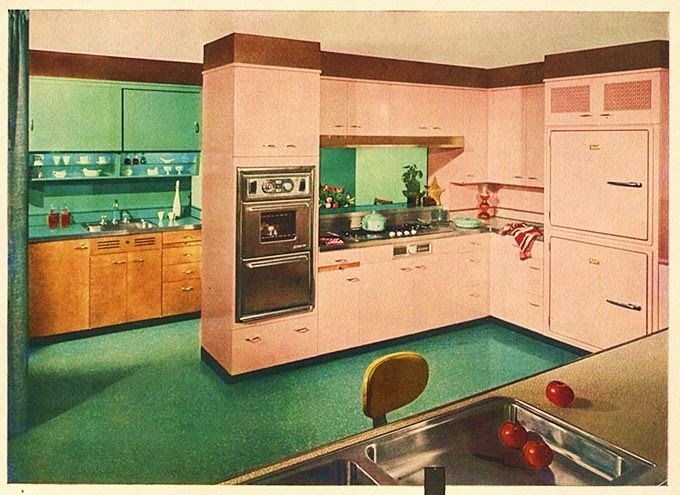 What I like about this pink kitchen was that the butler pantry area is done in turquoise. With wood cabinets. It is a nice way to put texture into the space. 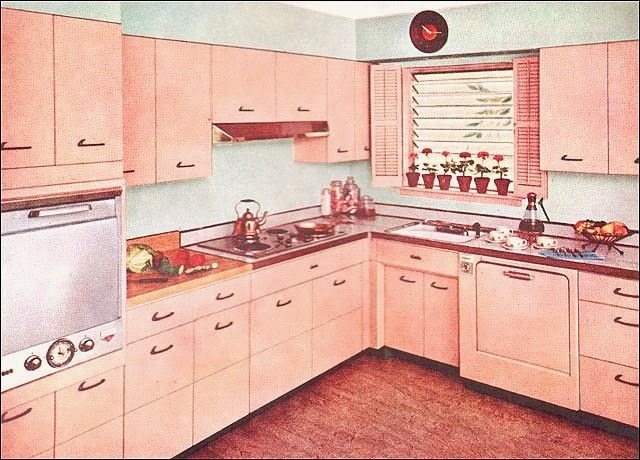 And still compliments all the pink steel cabinets. Plus there is two sinks! You never realize, how much you will use that second sink till you have it handy. 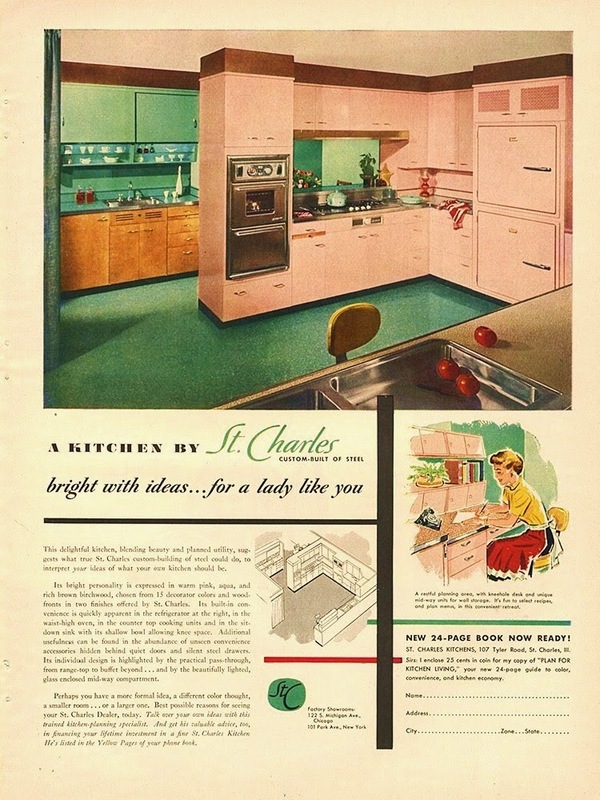 This particular advertisement for St. Charles cabinets, was also showing off that they had an available matching desk area for your kitchen. I wish more of these survived. For me, this is my perfect kitchen layout. I love the "L" shaped kitchen. Were the appliances are set up in a great used friendly way. And there is a window above the sink. Where I would have the most amazing set of curtails. I do find the pale gray walls pleasing too. And I am not a fan of the color gray anywhere near me. Now this has to be a kitchen for a tiny apartment. The stove top is one of those two burner only, pull downs. With the washer beneath the oven. But look at that great light fixture! 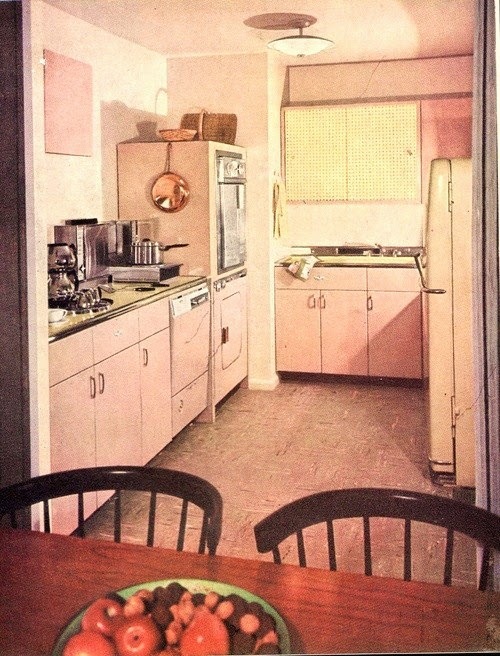 But yea... tiny pink kitchen. 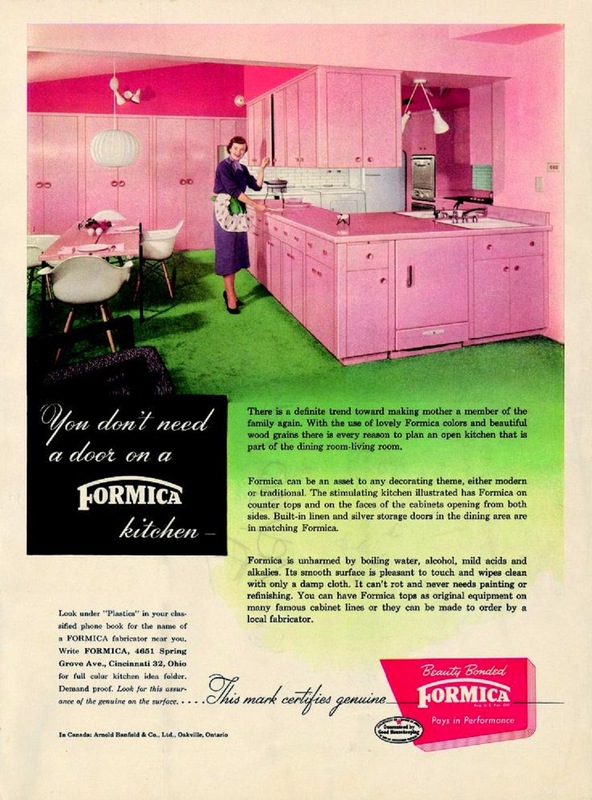 As I was clicking through looking at all those Formica advertisements... 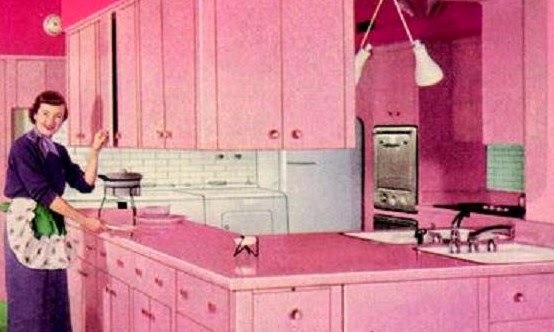 I came across the pinkest kitchen I have ever saw. Wow. That is a whole lot of pink Formica cabinets! Dang that just might be too much pink for me. Maybe. Notice the bold pink trim out paint along with the pink ceilings and walls. Yet, there are those fantastic light fixtures here. And dual sinks that back up to one another. And of course lets not over look the washer and dryer hanging out... with the white refrigerator. You know it would break my heart, not to have the laundry in the center of the kitchen. 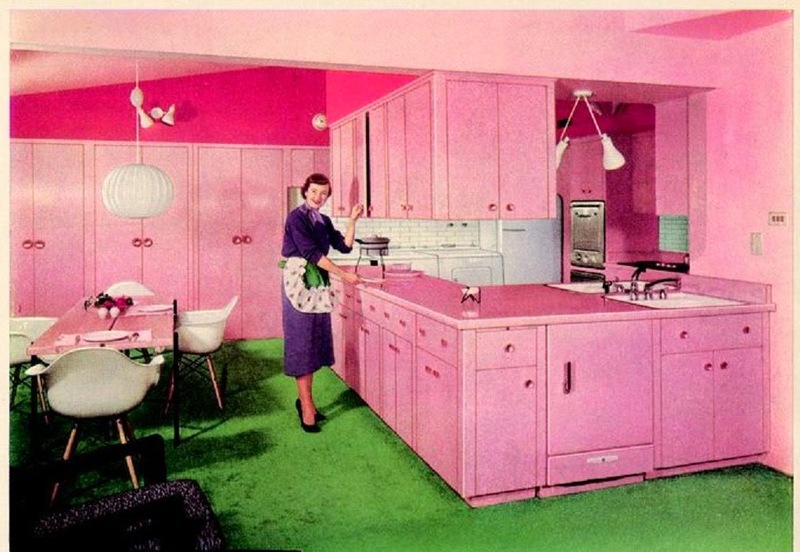 Bless Formica, for all their effort in pulling this big bold pink kitchen together. I wonder if anyone ever had this one installed in their home. I like the see the face of the husband, who had to see this one every morning, over his pink coffee cup.